Zhongzhi JET-L series self-priming pumps are highly efficient jet pumps . The suction is excellent even when there are air bubbles in the water.The pump consists of a single impeller, centrifugal pump and a jet pipe with a nozzle. 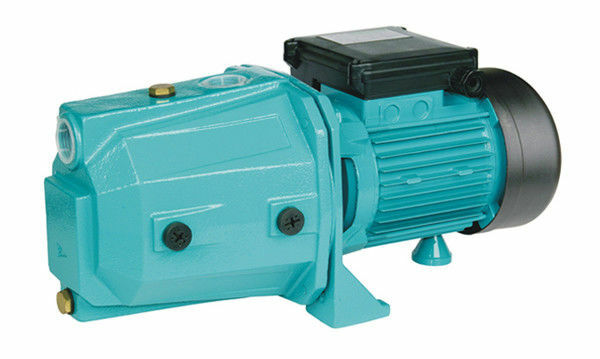 These series pumps are particularly suitable for water supplying in domestic installations, small-scale agriculture watering and where a self-priming operation is demanded. 1. 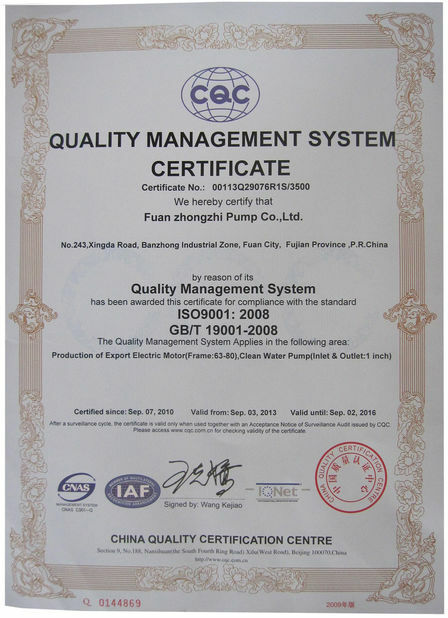 The pump have a compact size and simple to use. 2. Heavy duty continuous work. 3. Ambient temperature up to 40ºC. 4. The thermal protector is installed if required. 5. 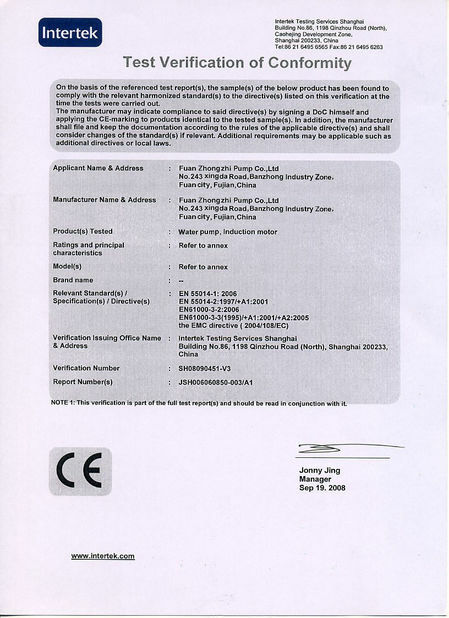 The shaft is 45# steel or stainless steel and not easy to rust. 6. 220-240V 50HZ power which is safer for your using. 7. The stator is 100% copper wire with high quality. 4. Easy to use and operate. 1). Q: How about the MOQ? A: Usually, it is 50 PCS for each model. 2). Q: Are you a factory or a trading company? A: we make water pump, motor, alternator, and diesel generator since 2006. 3). Q: Can you accept to use our logo? A: Yes, we can. Any OEM are welcome! 4). Q: What are your payment terms? A: 30% deposit by T/T in advance, pay 70% balance against B/L copy. 5). Q: How about the delivery time? A: Usually, 10-30days. But it depends on your order quantity. 6). Q: How about the warranty? A: 1 year from shipped on board date.